Strike action could hit ambulances across the north and north-east of Scotland after union bosses confirmed they will ballot staff over what they have called “scandalous” and “dangerously long” working hours. Unite said paramedics determined to serve the public were having their “goodwill and dedication exploited” by an overstretched service and said the implications could be “very serious”. 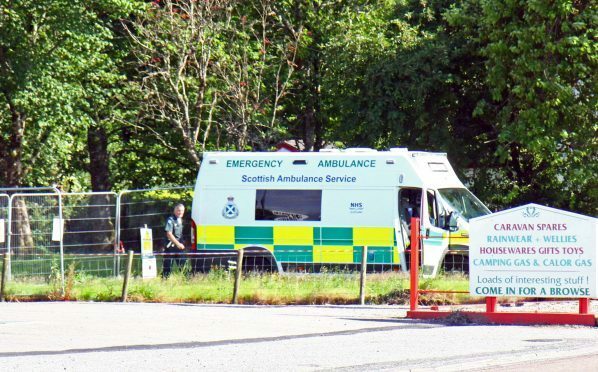 While shifts should last for 12 hours, the union claimed one Scottish Ambulance Service (SAS) employee in the region had worked three times this, while another had been on shift for 23 hours. Papers will now be sent out to around 230 workers in the north division, which includes Grampian and the Highlands and islands, in a consultative ballot that will gauge the feelings of workers on whether to strike. Last night a paramedic source said that the 23-hour continuous shift had been undertaken by a crew based in Lairg in the Highlands, while the 36-hour shift was worked in Tomintoul in Moray. He added that there were around 20 vacancies in the north despite the announcement in 2013 that an extra 150 ambulance technicians would be recruited across Scotland to provide safe levels of cover. Changes to the way paramedics work were introduced following the outrage triggered by the death of 33-year-old Mandy Mathieson, who suffered a cardiac arrest at her home at Tomintoul in 2010. The village depot is just 800 yards away but trainee technician Owen McLauchlan chose not to respond because he was on a meal break. Last night dad Charles Mathieson said: “I think there have been some lessons learned since 2010 but my own view is that all public services are underfunded. Ms Mathieson did not receive help from emergency services for nearly half an hour and was pronounced dead by an ambulance crew sent from Grantown, 15 miles away. Last night, Tommy Campbell of Unite said that ambulance crews in the north were facing “a crisis” and that the results of a ballot could be “very serious” for the service. A Scottish Ambulance Service spokesman said: “We are continuing to engage positively with our partners at Unite as we are keen to listen to and respond to any concerns raised by our staff or their representatives.